Beets and beet juice are unique in the plant kingdom for their ability to increase nitric oxide in the blood. Nitric oxide dilates the blood vessels and improves blood flow. 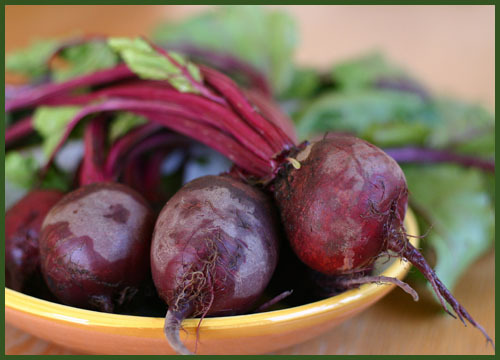 In Chinese medicine, beets are used for strengthening the heart, improving circulation and purifiying the blood. They have special affinity for moving Liver energy and promoting menstruation. Used with carrots, they help regulate hormones during menopause. This beet juice recipe is perfect for women, especially when there is any concern for blood flow to the uterus with menstrual cramps or a thin uterine lining. Serve in two glasses, over ice if desired. The second serving can be saved in the fridge for the next day!